Eiken lies about 55 kilometres north of the south coast town of Mandal. From the E39 at Lygdal turn onto the 43 in the direction of Eiken and follow the 43 to the junction with the 42. At this junction turn left to Eiken. On entering the village the church can clearly be seen on the side of the main road. 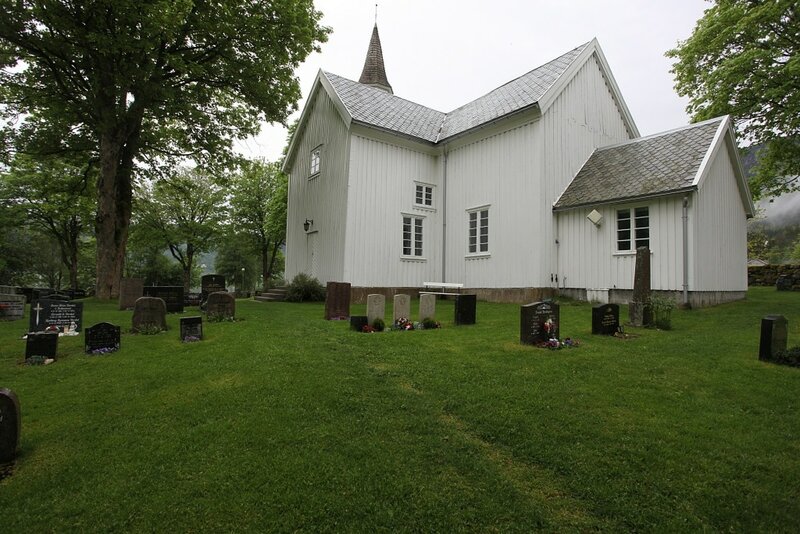 The collective Commonwealth war grave is located to the left rear of the church. 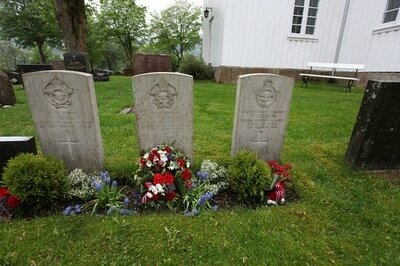 Eiken Churchyard contains the collective grave of three Commonwealth airmen, who were shot down on 21 December 1944. 1586074 Flight Sergeant Thomas David Cremins, Wireless Operator/Air Gunner in 97 Squadron, Royal Air Force Volunteer Reserve, died 21st December 1944. 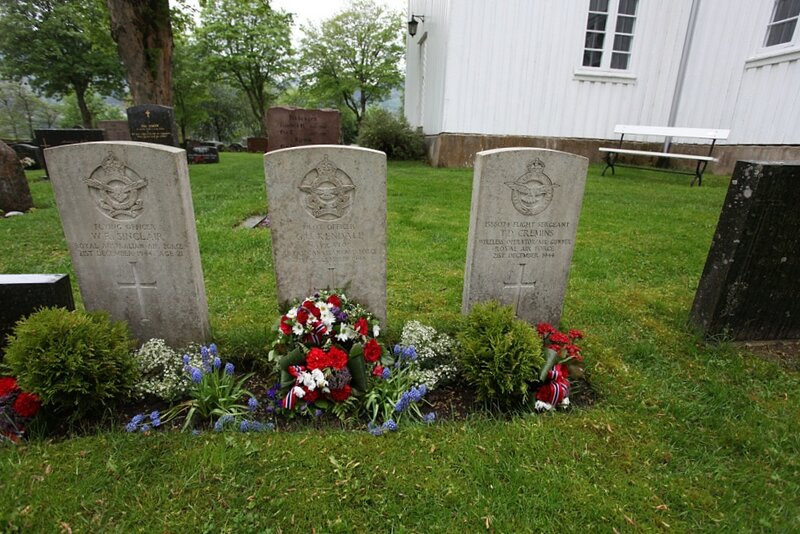 J/89860 Pilot Officer George Herbert Kendall, Navigator in 97 Squadron, Royal Canadian Air Force, died 21st December 1944. 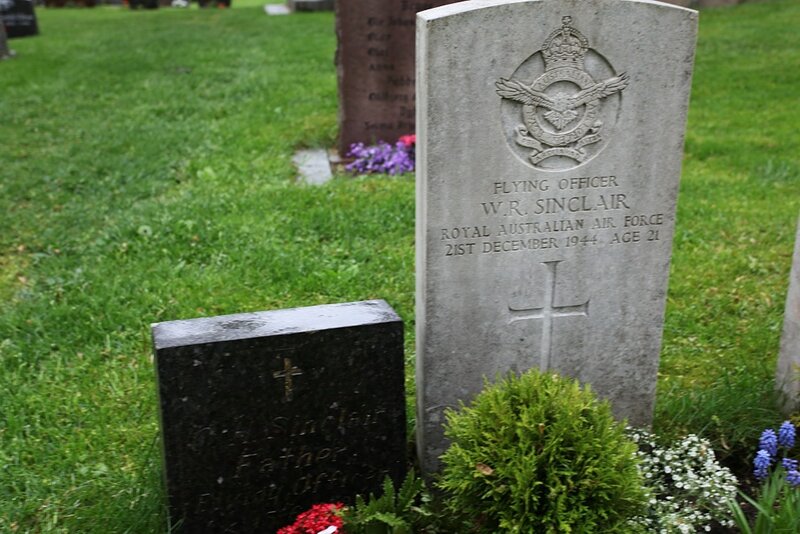 410390 Flying Officer William Robert Sinclair, Royal Australian Air Force, died 21st December 1944, aged 21. Son of Charles Haferkorn and Annie Ellen Sinclair, of Hampton, Victoria, Australia.